GoGetQuality application helps your technicians to take and study the feedback quickly so that your business can be alerted of any outstanding needs, ensure quality service, and evaluate your final performance. Our application has a simple aim. It powered by a robust web interface and comes along with features that assure a smooth quality assurance process. This assists your technicians with professional questionnaires which leads to the generation of real-time reports. These reports provide accurate business analytics and outstanding customer service. 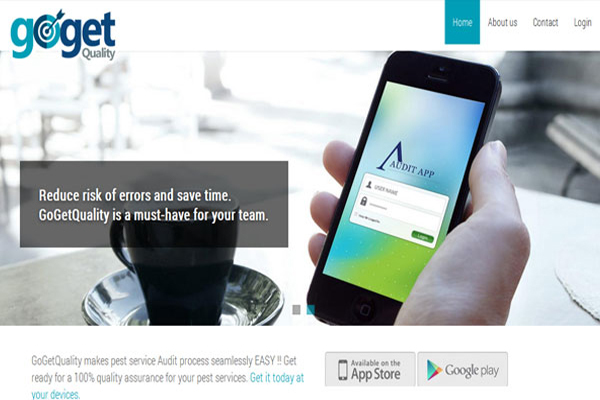 With the GoGetQuality mobile app, you can enjoy a smooth quality assurance process. A powerful web interface supports your technicians with professional questionnaires, allowing them to generate real-time reports for accurate business analytics and exceptional customer service. The app offers an extensive range of features to help you provide 100% satisfaction to your customers.